"Burnt" is an enjoyable, well written, well told story. The characters are well developed and very likable. The story moves quickly and grabs you from the the very start all the way to the end. A nice and sweet second chance romance. Thank you Lacy Hart for a great read. I am looking forward to reading more of you work. I listened to the Audible edition. The narrators, Juliana Solo & Daniel James Lewis, were awesome, they performed well together and brought each character to life from the pages to your ears. Thank you for the great listen! Sweet, wonderfully written love story! What a great story!! I loved both of the main characters! Sophie is sweet and kind and has loved to same man since college!!! Travis is hard working, loving and a wonderful dad! Abbie is a tween girl... with a touch of sugar!! This story was very refreshing and I loved listening to Lacy Hart’s story!! Juliana Solo and Daniel James Lewis did a wonderful job with the narration! 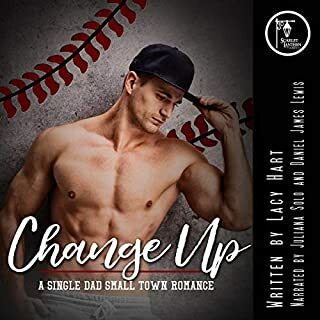 Mention a single dad and I’m the first in line to read or in this case listen add in second chance romance and that’s a win win for me but this had an added bonus because Lacy Hart is a new author to me and as I’m relatively new to audio the narrators Juliano Solo and Daniel James Lewis were also new but after listening to Burnt I will be checking out more from the author and the narrators. This sweet romance was well written and narrated. An adorable read about getting a second chance at finding true love. Travis and Sophie were once in love, but responsibility and college made them drift apart. But now with Travis coming back home after being injured on the job, can the two reunite and find love again? With a heartwarming storyline and great characters this was a great read. The narrators were a perfect fit and the audiobook was extremely enjoyable. I really enjoyed this second chance romance story, which happens to be my favorite sub-genre. This is my first from Lacy Hart. It kept me interested through the whole book and the narrators really brought it to life. Great, fast-paced book. I would definitely recommend it and especially in audiobook! This story is a second chance romance. First I heard from the author. This is my first listen to the author and the narrators. Travis had a tragic accident when as a firefighter one night he was saving a mother and her young daughter. Travis had no choice but to go on disability. 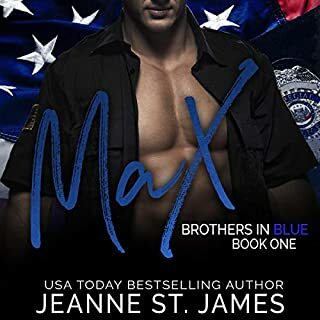 Sophie and Travis were high school sweethearts until their dreams for the future took them in separate directions as he went on to become a firefighter and she returned to their hometown and is a teacher. Both have moved forward with their lives but neither has forgotten the other. Years later the death of Travis’s father brings him back home to settle his estate. Due to an injury his career as a firefighter has come to an end and he is a single father to his 12 year old daughter Abby. 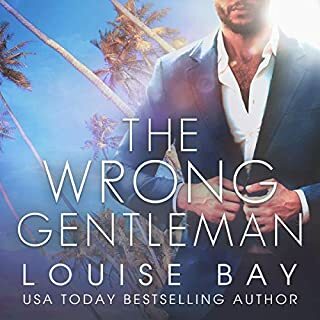 When Travis and Sophie see each other again the chemistry and connection is stronger than ever, will this be their second chance? I listed to the audio version and I thought that the narrators did a great job of bringing the story to life. I love me some single parent romances! The narration, the story. Will be purchasing the kindle book to read at a later date but, the audio was fantastic. I read a book by this author before and enjoyed it. I enjoyed this one too, but I don't know if it was the story or the narrator. The female narrator was good I liked it, but the male one, sounded a bit robotic, if you know what I mean. I love single dad romances. Travis moved back home to settle his father's estate and also to recover from a work injury. Only to realise that the girl who broke his heart lives in town. Sophie chose her career over her boyfriend 12 years ago, but her feelings never changed for Travis. And maybe now that he is back home this could be her second chance to prove to him how much she loves him. 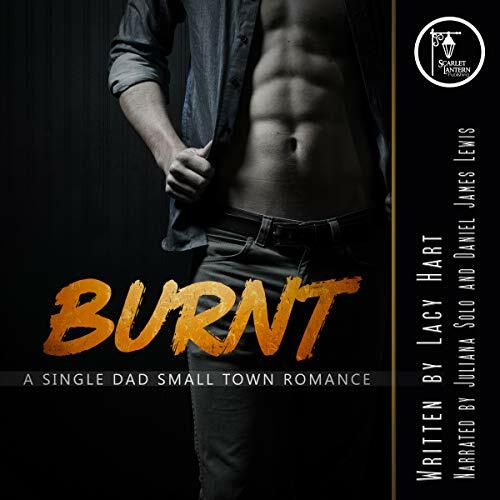 Burnt is a sweet single dad, second chance, small town romance. I listened to the audible version of this novel. The narrators Juliana Solo, Daniel James Lewis did a good job with the narration. Their voices blended well together and they brought the characters to life. I enjoyed listening to them. That being said the story itself fell a bit flat at certain times. There were a couple steamy scenes and a slight hint of a mystery that was soon resolved. I did not really like Sophie as she felt a bit immature to me but I did like Travis and his dedication to his daughter. However I did not really feel the connection between these two as a couple. If you are looking for a story with no angst or drama, this is the one for you. This was a sweet second chance single dad romance. If You're looking for sweetness and a happily ever after this one's for you. I only gave it four stars because for me personally I feel like the lead female character was a little too sweet and nice for my liking. The story itself was nice and I did things to author did a good job with the character development. I also feel like the narrators did a good job translating the book until audio made for a nice sweet listen. What I liked/Didn’t Like about the book itself: I love second chance romances and this one hit the mark for that. Well written and fun to listen to. I’m a sucker for single parent romance. This story doesn’t disappoint my obsession. I also love that it’s a second chance romance as well. I rooted for Travis & Sophie from the beginning. and I’m happy the got their HEA. I loved Juliana Solos narration. I think she read the part of Sophie very well. I look forward to listening to her in the future. I wasn’t too sure about Daniel James Lewis. I felt like his part was read a little too fast. But as I got further into the book I was able to get past that and began to enjoy listening to him. this is a fun quick listen. it combines three of my favorite tropes, second chance, small town, and no angst. I enjoyed it while at work, and had fun following Travis and Sophie's path to their HEA. Travis as a single dad with Abby, and Sophie as a teacher. Match made in heaven. The narrators did a really good job. I decided to listen to this audiobook after reading the blurb and listening to the audio sample but even so I liked what I read and heard the execution of the story was only average. I found Sophie too pathetic and Travis too ignorant to my liking. The writing was also just mediocre. Regretfully I can only give the story 3 stars. Juliana Solo did a solid job with the female narration. Unfortunately I can't say the same for the male narration. It seemed too clinical, almost sterile, emotionless for me. I'm sure Daniel James Lewis is a good narrator only this book wasn't for him, or his style wasn't for me. The narrators did a good job of bringing this story to life. But this book didn't really do it for me. For me, the author spent a lot of time going into unnecessary details which caused me to get a little bored with the story. An example is the amount of detail the author went into when Travis drove to Sophie's house for their first date and got out of the car to go to the passenger side of the car to get the wine and flowers he bought for her. I also didn't feel very invested or connected in the characters' story. Overall, this story is a sweet, low angst read. It was an enjoyable, but relatively unmemorable read for me.